Hello there! 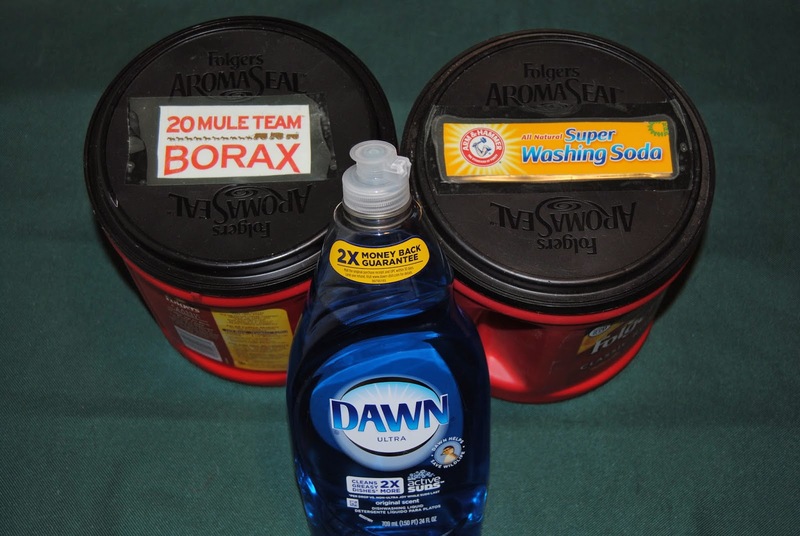 I know I have posted a recipe for laundry detergent, and it was good. Saved money and did the job. BUT….. to me it was kind of labor intensive and I only made it once. Being a woman I can change my mind, right? Well, I am changing my mind. This recipe is SO much easier and I think does the job just as well. And I have to tell you I LOVE THE SMELL OF MY CLOTHES after using this stuff. 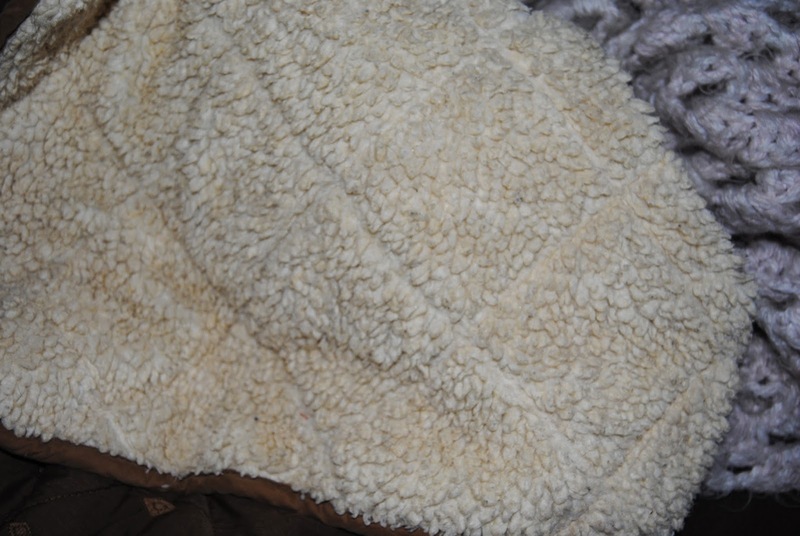 There is NO laundry soap smell, just wonderful, clean, fresh smelling fabric. I didn’t even want to use fabric softener (I have a recipe for that I will share at a later time) on subsequent loads. I actually stood by my air dried sheets and comforter breathing in the freshness. I kid you not. To any of you who do not suffer from allergies and/or sinus problems this may not be a big deal to you, but it’s huge to me. I swear I have actually been sleeping better! Add ingredients to a 1 gallon jug. Pour in 4 cups of very hot water and swish around to mix. Once it is mixed up, top off the jug with cold water. Tighten the cap and shake it up. How easy is that? No grating, no cooking, no mess. I love it! 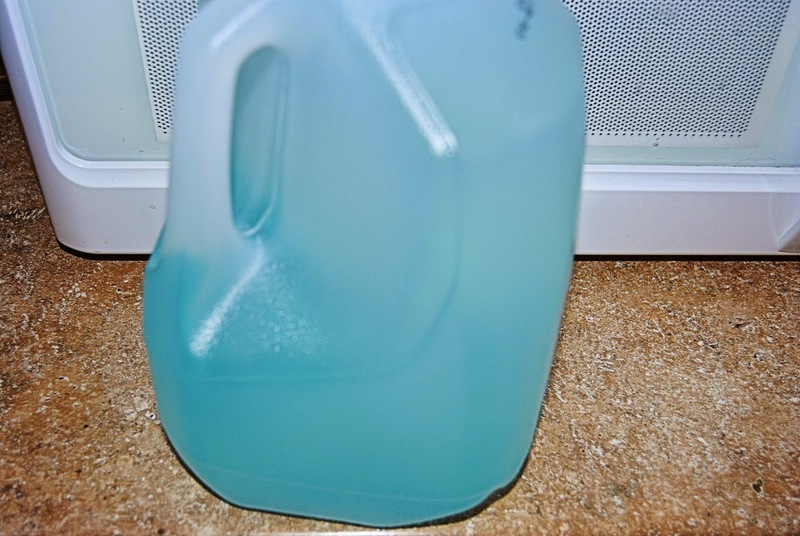 Now keep in mind this stuff is THIN, it is not going to be like the store bought laundry soap. It’s going to be like water. And you most likely will need to use 1 cup of it, but hey, at 20 CENTS a GALLON to make, who cares. Use it like you would store bought: If you pretreat stains, pretreat, if you need to use a laundry booster for a really dirty load, use a laundry booster with this, if you use Oxiclean (that’s another recipe coming up), use Oxiclean with this. I had one blouse that I had to pretreat before washing and the stain came right out. Most of our clothing isn’t dirty, it’s been worn and is mildly smelly or just needs freshening. If I don’t have to, I don’t want to use anything with this laundry soap —- I don’t want to ruin that fresh, clean, sans artificial scent smell! Thank you so much for stopping by Two Dogs. Hope you enjoy the rest of your week.